I am a fan of lasers. I find that they rejuvenate my face and give me a youthful glow that is superior to any other anti-aging regimen I follow. In a city like New York where everyday our skin is battered by environmental hazards and stress, a little laser magic goes a long way to boost appearance and confidence. 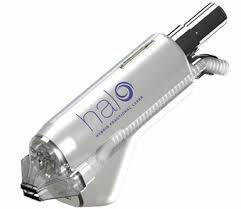 If you want to look forward to great looking skin this year, and get rid of uneven skin tone, sun damage, acne and scars, try the Halo laser. A single session can improve skin texture, reduce enlarged pores, erase superficial wrinkles and scars, stimulate collagen and give skin an overall refreshed, younger appearance. 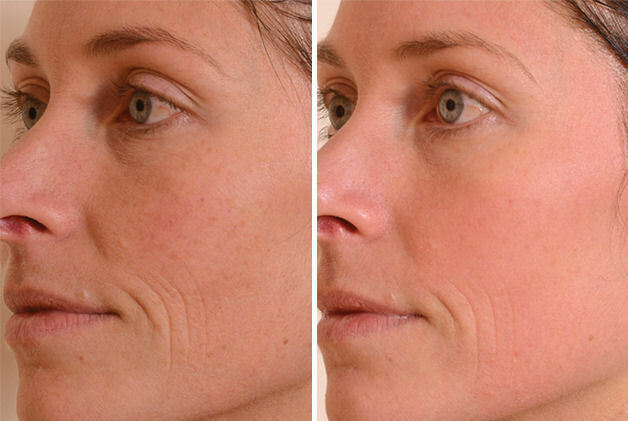 The Halo Laser is the world’s only hybrid fractional laser that unlike other lasers works on the top and bottom layers of the skin at the same time. 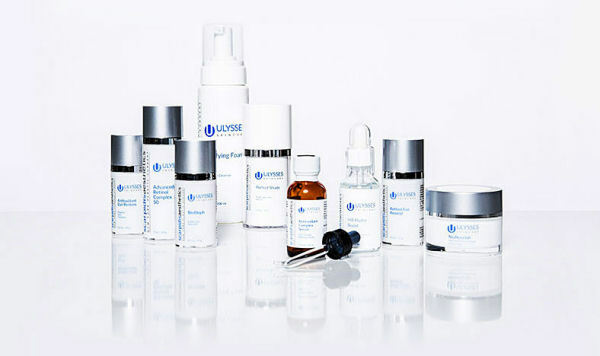 The treatment is customized to your needs by dialing to the level your skin requires. 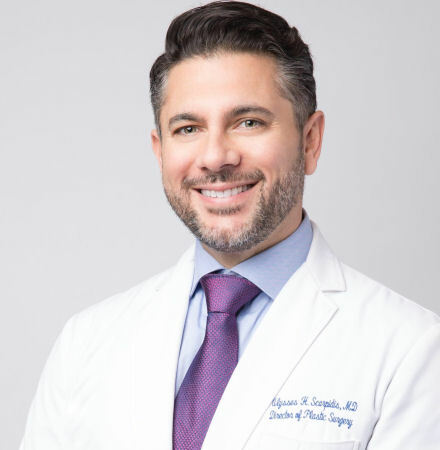 I recently had the Halo Laser at Dr. Ulysses Scarpidis, MD at Scarpidis Aesthetics in midtown Manhattan. It involves two visits: one to meet the doctor and assess skin condition and the second visit to have the treatment. Dr Scarpidis explained exactly what the Halo could do in my case but also pointed out what the Halo could not do. The Halo cannot get rid of labial folds nor lift the ski. It can reduce wrinkles, even out skin tone by getting rid of pigmentation and brown spots, give the complexion a healthy glow and continue to stimulate collagen over several months so that the procedure keeps producing benefits. He warned me that I would have to deal with redness and peeling for more than a few days after as the top layer of the skin is removed to reveal the fresh “baby skin” underneath. Therefore, don’t do a HALO treatment if you have any special events coming up that week. Allow at least four to seven days of downtime for healing or redness reduction. Dr. Scarpidis also prescribed a valtrex to take on the day of the procedure in order to protect me from mouth sores that can happen to patients undergoing the laser treatment. On my second visit, the day of treatment, the assistant applied a topical anesthetic to my face a half hour before the procedure to reduce any sensation, and then assessed my skin by putting my head inside an infrared machine that revealed exactly the weaknesses of my skin to direct the laser where to hit most. During the procedure two different wavelengths, one ablative, the other non ablative, target both the upper and lower layers of skin at once. One set of wavelengths repairs sun damage, discoloration, enlarged pores, and uneven skin tone while the other set targets collagen at the bottom layer. The laser forces the skin to repair itself by stimulating it in a way that triggers a healing response. Once the laser was set in motion, I started feeling little cuts in my skin as if really tiny blades were slicing up microscopic parts of my skin. It was a bit painful! Everyone is different and I may be more sensitive and nervous than others, but if you want stellar results, you need to undergo some discomfort. However the procedure only lasts 15 minutes. The laser sends heat to the face and you will have the sensation of baking in the sun on a hot day. During the procedure, pigment from the damaged skin is brought to the surface and causes a deep lobster-like redness all over the face. Thank God, the 15 minutes went by quickly. Ice bags were applied to my face to reduce the redness and I was instructed to use a moisturizer several times a day in the following days to keep the skin drenched and reduce inflammation. Though I tried several moisturizers to soothe and cool my burning face, I found that the only ones that were really calming were Avene’s Cicalfate Restorative Skin Cream and Avene’s Cicalfate Post Procedure. I applied both three times a day and found that they immediately calmed the inflammation and dramatically reduced the sensitivity. To clean my face I used the Ulysses Purifying Foam Facial Cleanser and before heading out, I applied a tinted sunscreen by Dr Scarpidis. Though the redness lasted a week, the peeling was light. I didn’t mind having the sun baked look, it made me look cheerful and sun-kissed and less pale and hollow cheeked. However, my face bloated as if I had a mild cutaneous allergic reaction. A week later, the wow results came to full bloom. My skin was clearer, more translucent with a healthy glow and a plumper consistency. Despite the momentary pain and week of redness, I think the procedure is worth it because the results are stunning. If you’re looking for a way to get rid of sun damage, have a dewier complexion and glowing skin, try the Halo fractal laser.